Resume writers and career coaches, today I’m sharing with you what topics you need to hit with your clients to help them be prepared to nail the interview and salary negotiation process. It kind of reminds me of the Goldilocks story because in talking with career professionals I hear a lot of confusion about what should be discussed. Should I assume executives or sales professionals already know that? Will I insult them by covering basic topics? Do they need strategy or just practice? 99% of all job seekers need strategy services and/or coaching around job interviewing and salary negotiation. There are 10 different channels through which you can assist these clients (and a lot more hybrids you can create). So let’s dig into the “just right” content for your different audiences. 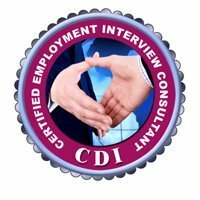 Reminder: There are only 5 days left to take advantage of the $1473 in bonuses when you sign up for CDI’s Certified Employment Interview (CEIC) course. You can learn more here. How Much Content is “Just Right”? NEVER ASSUME what your audience knows about selling themselves in the job interview! The candidate might be the most qualified for the job. He/she might be a killer salesperson or negotiate 8-figure deals for a living. He/she could be an amazing public speaker. He/she might earn 100x more than you do. If you do not cover your bases with each client, you could be doing them a grave disservice. Luckily, there is a very easy way around this! This sets the stage for expectation and honors that you respect their level but want to make sure you give them everything they may need to be sharp for today’s interview. In 20+ years of working with job seekers of all levels with earning potentials into the 7-figures, I’ve never had a single one who couldn’t embrace the process. I feel it is because I respect them by sharing that and don’t sell the process short by making assumptions. In fact, it’s mid-management through executive who tend to break the rules and need the reminders, because in many cases they’ve been allowed to march to their own beat in their leadership roles. When it comes to being the one interviewed, gentle reminders can work wonders for their successes! So, that cozy “just right” approach is just to preface why you will be giving them everything that can contribute to their success. Help clients at all levels to land their next position typically at a minimum of a $15K negotiated increase in salary and in record time. (Yes, I have the metrics to support this based on the unique testimonial process I’ve shared with CDI members). Win awards for maintaining the highest new graduate placement rates year after year for a private university with 11 campuses in 2 countries. The CEIC is the interview system I have developed and I love it because it is totally plug-and-play, done-for-you content that when read aloud comes across as you teaching! There are many private practices and universities that rely on the CEIC system! The beauty of this content, as I shared in the last post, is that it can be provided in so many methodologies: via a workbook/e-book or tip sheet, 1-1 sessions, group bootcamps, evergreen learning, course….. It’s up to you, but the topics are all worth hitting for any comprehensive programs. There is a mindset to being successful in the interview along with significant house cleaning (attire, transportation, etc.) that should be considered before someone even applies for a position. Do not make the mistake of glossing over these topics with senior executives because they tend to be top offenders in areas such as their outgoing voicemail message. Strategies around their phone being answered and how to use voicemail for a positive impression. Ins and outs of transportation since the vehicle (or lack of one) could speak negatively to the interviewer. How to prepare the mind to be calm, positive, and clear for the interview. Want your candidates to excel in the interview? They will when they enter from a position of confidence, knowledge, and power. One key element to accomplish this is through research on the target company and its key competitors. Armed with data, your clients will appear savvy, engaged, and interested. How to use advanced company and competitor research as a secret weapon for success. Ways to find inside information on companies both large and small. Steps to parlay their new knowledge into winning actions in the interview. Without pre-planning and preparation most job seekers will wait to prepare for their interviews once they are scheduled. But with telephone interviews they must be able to perform on-demand. When you make this topic a priority, you can ensure they are ready. Review process to evaluate how prepared they are for phone interviews. (I recommend and use a short quiz from the CEIC here). Step-by-step strategy for controlling the interview from when the call comes in during a shower to what information to have handy to answer questions confidently. Let’s face it, no matter how good someone is at their job, they just might not be fantastic at interviewing – think shy people, new grads, and engineers who prefer to do and not talk. There IS a way for them (and every other candidate) to truly shine in an interview, and that’s with an employment portoflio. This golden nugget can give all your clients an edge and provide another revenue stream for you to help them put them together. Elements for assembling a portfolio and then using it effectively in the interview. Leave-behinds and networking tools (think job fairs) that make an impression. To nail an interview, your clients have got to look the part. It’s not ALL about dark suits and uber professionalism! You can over-dress for an interview (and you can under-dress for one as well). Understanding company culture and expectations can make or break an interview. Through this topic you can ensure your clients are dressed for their target company interviews. Targeted attire – dress for the company, the culture, and the job level even when it’s a casual company. Attire do’s and don’ts (I use a checklist from the CEIC here). It’s not enough to have scripted answers to key questions. Your clients need an actual methodology they can apply to almost all questions to provide hard-hitting interview answers that make them stand out in a positive way. Foundation for having concrete answers that paint pictures with powerful, tangible specifics. (I use Mark Victor Hansen’s sesquipedalian concept as illustrated in the CEIC for this). Solid step-by-step, easy process for piecing together winning answers to commonly asked questions, which I refer to as Latin root questions since if they can answer these, they can answer any questions with ease. (I use the baseball home run concept as laid out in detail in the CEIC). Understanding and meeting employer expectations is critical in the interview. When your clients step into the interviewer’s shoes, they can more easily understand their motivation. Clear expectations on what employers are looking for and how to bring that to the table to impress interviewers. SWOT analysis process to identify strengths, weaknesses, opportunities, and threats so a plan of action can be set up and weakness/threat topics can be addressed to overcome those areas of concern. All too often I see this topic get ignored, yet it’s critical because the most prepared job seeker can leave a bad impression solely through word choice and tone of voice, which can disempower otherwise positive situations. Process for maximizing use of positive professionalism plus selling language/word choice for a winning presentation. (I use the L+M=O methodology as outlined in the CEIC). Understand and avoid weasel words that can undermine an otherwise solid answer, so they can be struck from the vocabulary. Keys to magnetizing the interviewer by matching answer delivery to the interview style by speedreading their type. Just as important as what job seekers say is how they say it. This is where body language will determine how believable the candidate is during the interview. What body language is really conveying in terms of confidence and believability. (I use the quiz in the CEIC). Behaviors to be aware of, change, or emulate to come across in the best light to the interviewer. Everybody needs an elevator speech in life, but it becomes an all-important foundation for answering all sorts of “tell me about yourself?” questions in the job interview. Definition of a 30 second commercial / USP, what it is, and why your clients need it. Various styles of commercial that they might need, which include networking, three-step qualification, proactive product brand, and succinct two sentence advantage. (These are outlined with examples in the CEIC). You’ve hopefully taught your clients an easy strategy for putting together winning answers, but now they need the science behind why each core question is asked and what the target response should (and shouldn’t) be. This is all about what I referred to above as the Latin root questions. When your clients can answer these, they can answer all questions. The why and what to do and not do, with examples, for these types of questions: enthusiasm, self-direction, communication, success-orientation, flexibility, and responsibility level. (I use these as detailed in the CEIC). Stories and examples to help put your clients at ease. (Several are showcased in the CEIC). Way to make these answers their own, nail the process, and become comfortable enough to sound natural during interviews. This section is so critical because clients need to examine their challenges and areas that could hurt them before the interview. They need a bright and shining POV and the understanding of what employers are looking for (reasons to rule them out). It all comes down to preparation! When clients are prepared for the ‘bad stuff’ to come up, they can come out of it in a positive light. How to deal with inevitable illegal or difficult questions, and how they need to prepare to answer positively. Types of illegal questions and how to respond in a tactful and non-destructive way that keeps the interview on track. What to say/do when asked disability questions. Ways to still shine and overcome despite issues of incarceration or a criminal record. Strategy to turn negatives such as employment termination, employment gaps, and spotty work histories into a positive response. Steps to overcome age discrimination before it can happen (language, body language, answers, presentation). Process to avoid being judged as under- or over-qualified regardless of education level and experience. Again, commonly an overlooked area is what to take to an interview, and this can set the pace for how your client is seen. It’s now time for the baby bird (your client) to leave the nest. To make sure they fly right, they need to know what to do now that the interview is scheduled. Interview dry run to ensure they are ready for the big day. Process and checklist for all-important items your clients need to take with them to the interview, which will give them an edge and confidence. (I use the CEIC checklist). Information on the sweetspot of when to arrive so they aren’t too early or too late. Introduction processes and understanding the importance of valuing those perceived as low-level gatekeepers. How the one-to-one interview commonly proceeds, from start to finish. Questions to ask the employer so that your clients don’t come off as unprepared or selfish. (I use the CEIC provided list). Ways your clients can exit the interview demonstrating interest and armed with knowledge of next steps. Strategy to take control when a traditional interview goes awry. Three different ways nervous, poor communicative, or shy job seekers can stand out from the pack in the interview. Job seekers need to be prepared to face a variety of interview types, because one-to-one isn’t always the norm. This module gets intimate with the how-to-rock a variety of interview types. Stress Interview – clients won’t stress the stress interview when they have a chance to prepare for it in advance. Good Cop / Bad Cop Interview – preparation ensures your clients won’t get trapped responding to good cop/bad cop interviews. Panel Interview – ways to stay on top of lobbied questions from multiple interviews with ease. Hands-On Interview – what to do when the interview involves an activity. Wear You Down All Day Interview – steps for staying fresh, positive, and consistent in all-day interviews with multiple interviewers. Cattle Call Interview – steps to stand out in the crowd and maximize this group interview. In-Box Exercise – what it is and how to perform. Long Distance Interview (Travel) – bloopers to avoid to have a positive long-distance travel-included interview. Videoconferencing Interview – easier today than in the past, but still tricky in regards to what to wear, where to look, etc. Virtual Bot Interview – yes, artificial intelligence has entered the interview scene! Chat-Based Interview – this is gaining popularity with recruiters and has its benefits. Lunch Interview – what to do and not do to nail a lunch interview. Interactive or Fishbowl Interview – get down to what employers want and how to respond to this type of interview. Puzzle Interview – typically reserved for technical interviews, this type of interview has a unique strategy and some critical elements to master. Yes, each of these is detailed in the CEIC. It’s not uncommon for employers to want to peek beneath the shiny presentation at the interview. So, it’s critical to prepare your clients for checks and tests that can come up in the screening process. 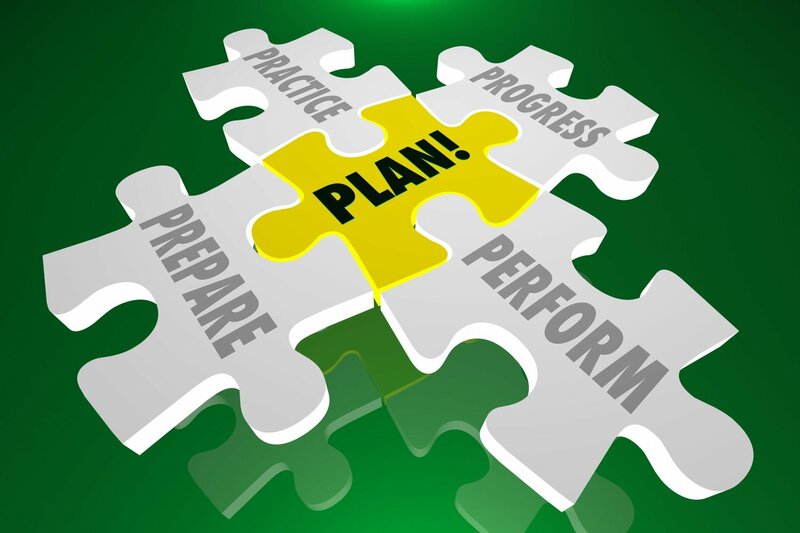 Steps to prepare clients with a winning application addendum if something negative (bankruptcy, criminal record, etc.) is going to come up in a check. Reasons for background checks, investigated issues, what employers can’t check, confidential records, employer reference checks, notice of a background check, how to prepare, and how to respond to bad news. Drug testing and what are typical tests, hair testing, false positives, and what to do. Yes, this should be covered because several OTC medications can cause false positives. I almost died when I tested positive for benzos in a screening because I had no idea that an OTC cough medicine would cause this. Your clients need to know so they can alert prospective employers in the case of a test or stop taking a certain substance. Once the interview is over, the work and strategy doesn’t end there. Job seekers need to continue to make a positive impression, and their follow up can make or break a great interview (or even save a lousy one). Why, how, and when to successfully following up. Thank you / follow up letter contents and key points for making interviewers remember clients, and for overcoming less-than-stellar interviews. (It’s not too late to turn a bad interview around). Non-traditional alternatives that go above-and-beyond the follow up letter to earn brownie points for candidates in the selection process. What happens next in the waiting and follow up process; how to be the squeaky wheel without being a pest. The offer has been made, so now what? Your clients need the tools to ensure they walk away with the best offer and benefits possible. Effective salary survey and self-pricing tools. How to dissect the offer and consider primary benefits as well as additional perks and benefits. Steps of negotiating an offer on the table, and how to evaluate it. (I use the CEIC’s handy checklist). Order for discussing perks, benefits, and salaries so it’s easier for your clients to get the big items they want. Ways to compare multiple offers. (I use the chart in the CEIC). Strategy for dealing with employment contracts to make sure they are favorable. If you aren’t sure how to provide this content, be sure to check out my last post, 10 Ways to Profit from Job Interview Strategy Services, where I deep dive into the ways you can offer these services to your clients. In general, whether it’s via an audio program, group boot camp, or 1-1, this content can be provided in about three hours of time. Of course, you could also just sell your clients the CEIC workbook if you don’t want to spin-off a live or recorded program! If you are struggling on where to get started because you don’t have the materials or the know-how, every one of these modules is covered in the CEIC program. What’s better, they are written in conversation style so you can read aloud and your clients won’t even know it. Plus, there are done-for-you quizzes, checklists, exercises, and tip sheets making the system flexible for any situation you may encounter. Finally, unlike most programs on the market for any type of coaching/career service, I’ve dedicated two modules to the how-to of selling and packaging it in with your services. A new credential is of no worth, if it can’t give you ROI! With the CEIC, you can easily add $3000 a month (or more) in revenue. You’ll even find with many of my models that you’ll save time while you increase your profits! There are just five (5) days left to register for the CEIC and take advantage of $1473 in bonus offerings.